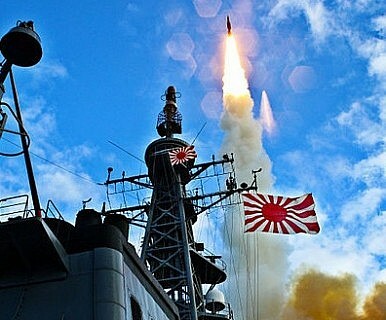 Japan "To Deploy PAC Missiles"
Japan announces plans to deploy PAC-3 missiles in response to North Korea’s planned “satellite” launch. Three weeks ago, Japanese Foreign Minister Koichiro Gemba cautiously welcomed the “Leap Day” agreement between the U.S. and North Korea in which Pyongyang agreed to suspend its uranium enrichment activities and implement a moratorium on its long range missile and nuclear tests in exchange for 240,000 tons of nutritional aid from Washington. But the tone in Tokyo has changed considerably since then, as the North has returned to its predictable cycle of negotiation followed by provocation. Japan has reportedly ordered missile defense systems to be prepared and deployed near its southernmost island of Okinawa. The news follows the North Korean announcement this month that it intends to launch a satellite to commemorate the 100th anniversary of the birth of North Korean founder Kim Il-Sung. The move is provocative and may very well suffocate efforts such as the Leap Day deal to restart the moribund Six-Party talks aimed at denuclearizing the Korean Peninsula. Bilateral relations with Japan have been stymied for decades as a result of the unresolved issue of abducted Japanese nationals. However, aside from the political obstacle of the abductions, Tokyo has genuine security concerns about the regime in Pyongyang as a result of previous missile tests over Japanese airspace. In 2009, North Korea fired a Taepondong-2 missile over northern Japan resulting in new U.N. Security Council sanctions. These penalties were lumped on top of heavy unilateral sanctions from Tokyo – as well as previous Security Council sanctions – which were already in place after the North’s nuclear weapons test in 2006. In 2009, Japan threatened that it might try to intercept the missile if it crossed Japanese airspace (which it did – over two prefectures in the north). However, no action was taken at the time, with Japan relying on its diplomatic sticks, via sanctions, rather than provoking the North with force. So, has Tokyo’s strategic posture changed much in the past three years? Similar to 2009, the government has taken a tough line against the planned launch, and is preparing its Patriot Advanced Capability 3 (PAC-3) missiles in the event that Japan is threatened. “I have ordered officials to prepare to deploy the PAC-3 and Aegis warships,” said Japanese Defense Minister Naoki Tanaka. The announcement came as Japan’s Diet passed a resolution condemning the launch. Unfortunately, however, Tokyo is left with few practical options in dealing with Pyongyang’s belligerence. Unless it determines the test will genuinely endanger Japanese territory, it’s unlikely that the government would risk prodding a truculent and volatile regime in the North with a missile intercept. But the diplomatic options are lean as well. Japan has recently announced that it will extend its unilateral sanctions on North Korea. While these penalties essentially cut off all bilateral trade between the countries, they serve more rhetorical than fiscal bite as Japan and North Korea haven’t had a significant trading relationship in decades. Japan Plans to Convert the Izumo-class Into a True Aircraft Carrier? Recent Japanese Ministry of Defense leaks are suggestive of plans to convert these so-called helicopter destroyers.